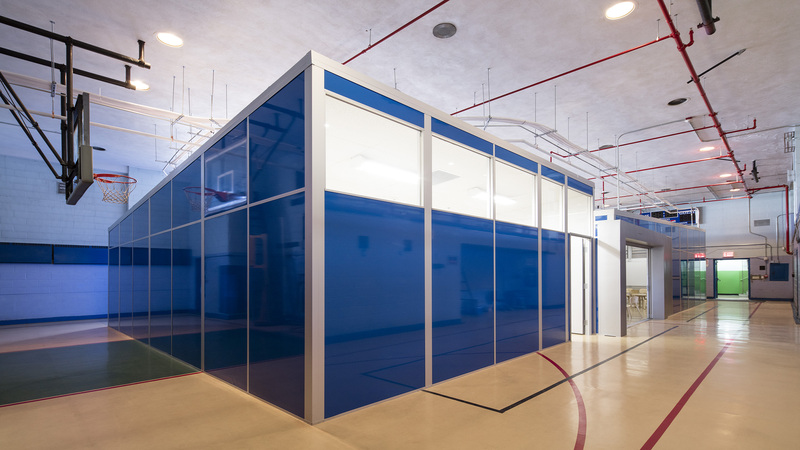 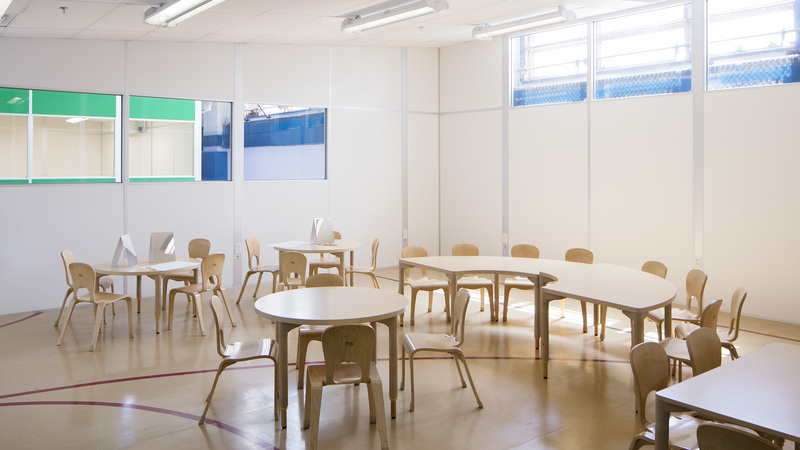 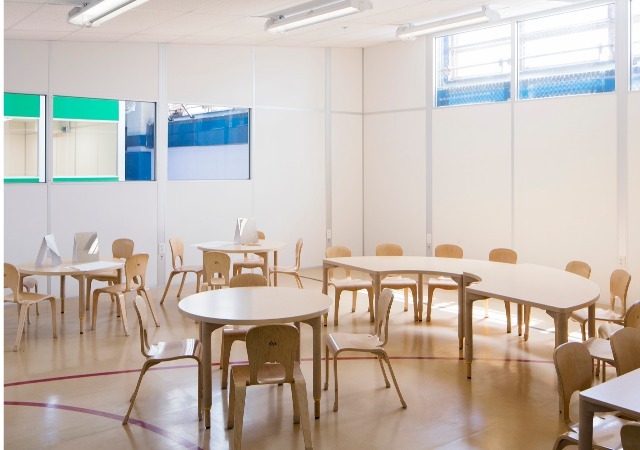 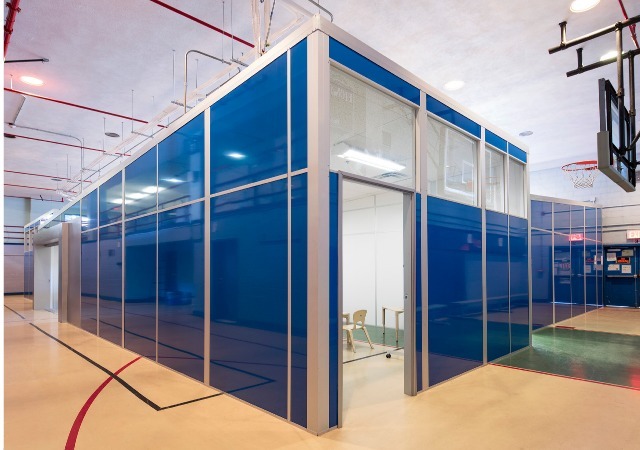 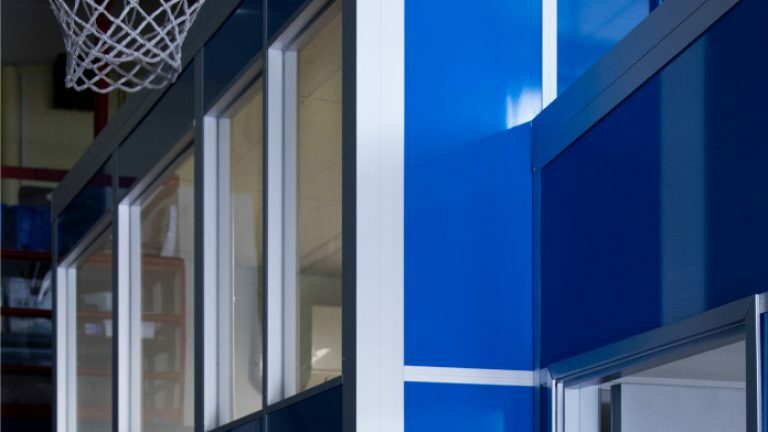 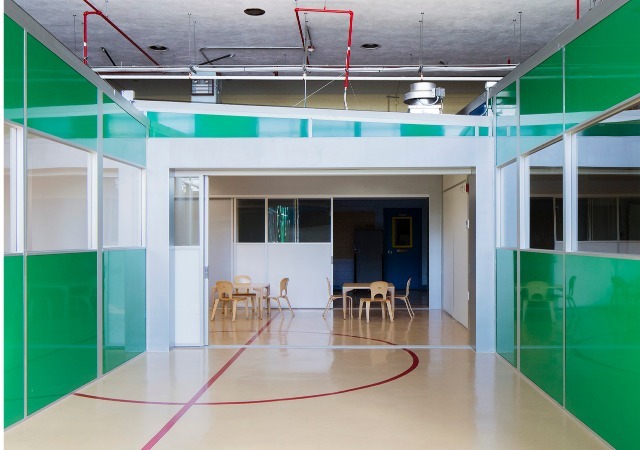 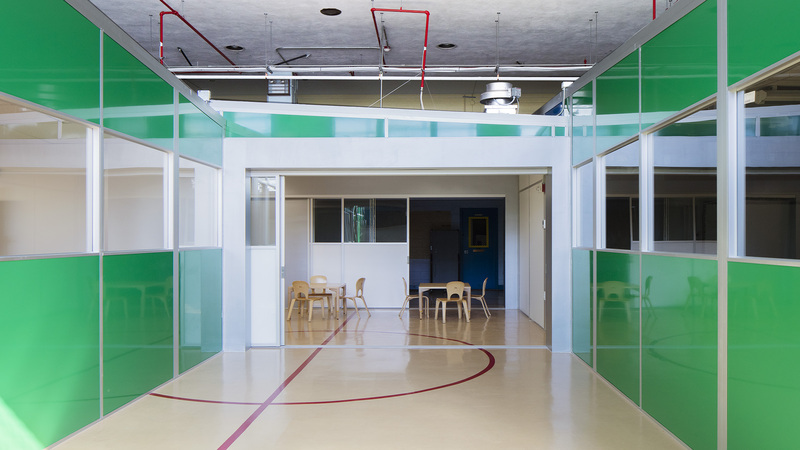 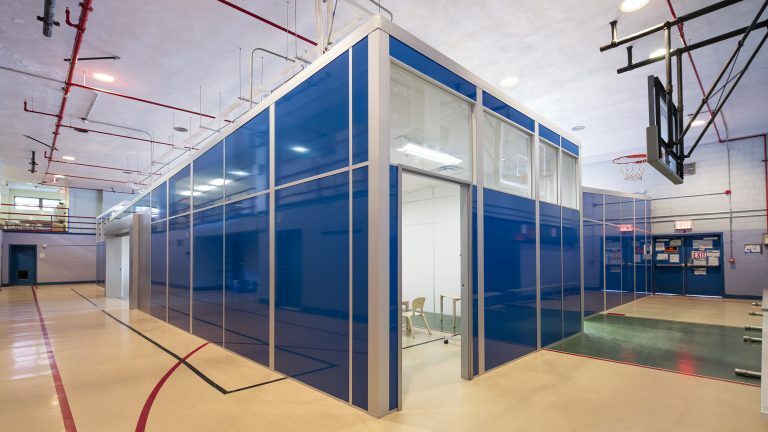 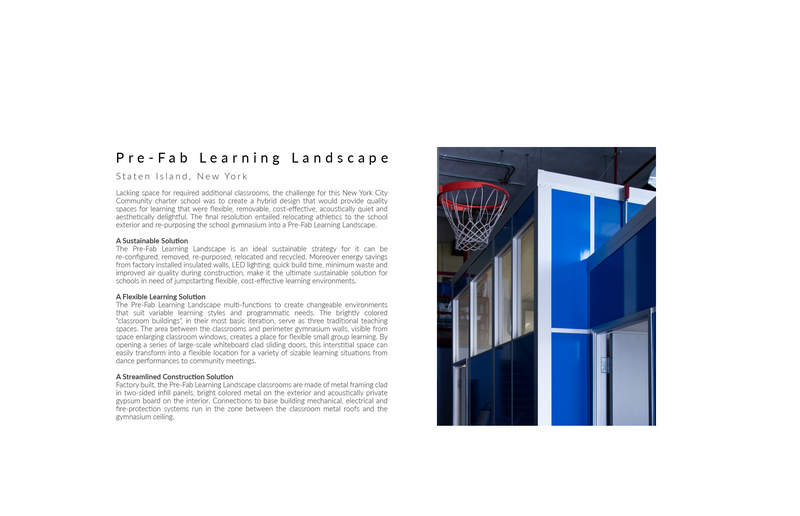 Lacking space for required additional classrooms, the challenge for this New York City Community charter school was to create a hybrid design that would provide quality spaces for learning that were flexible, removable, cost-effective acoustically quiet and aesthetically delightful. 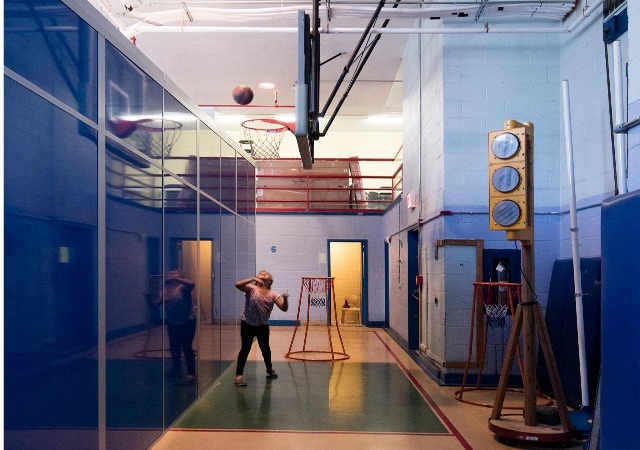 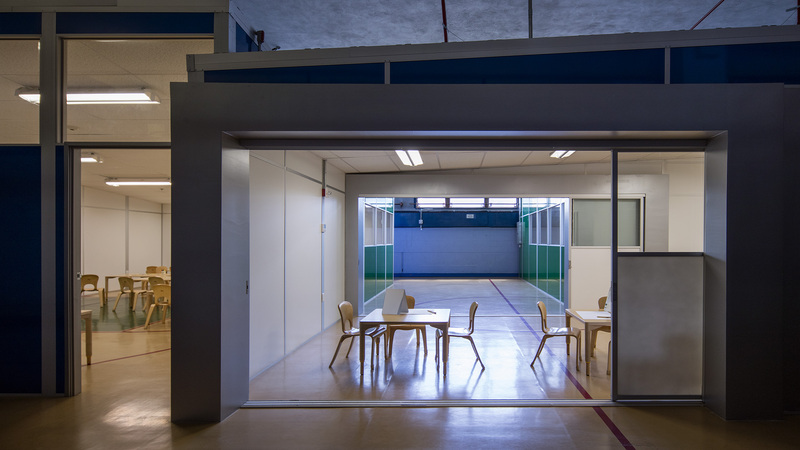 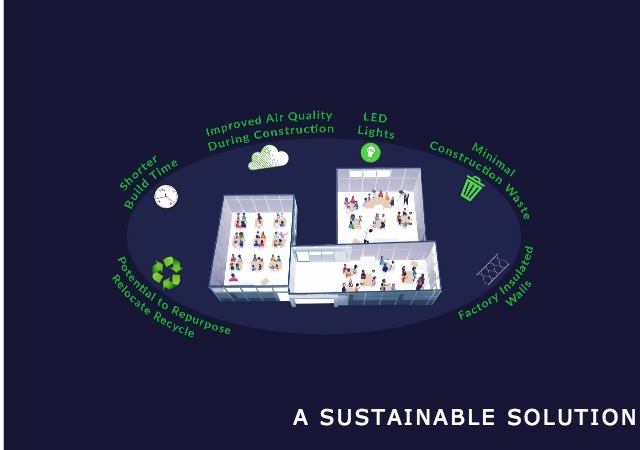 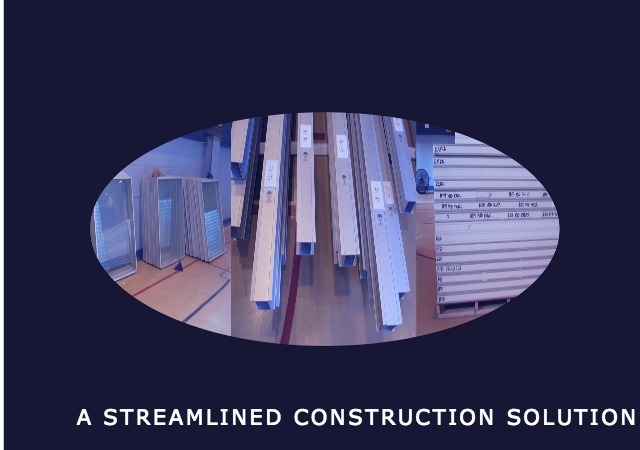 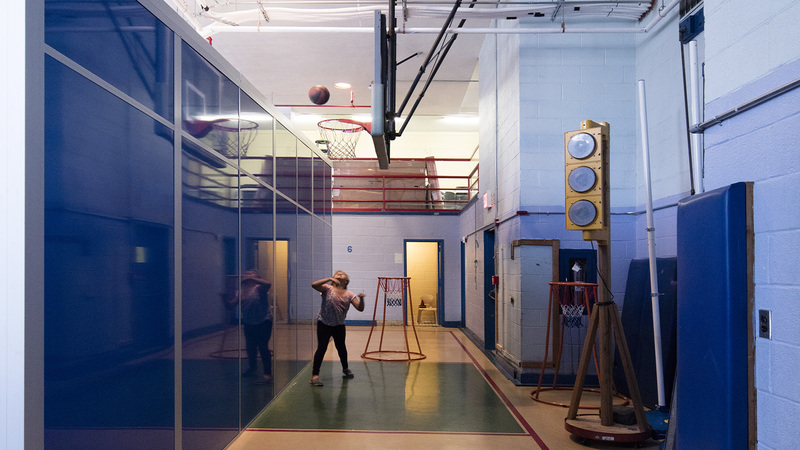 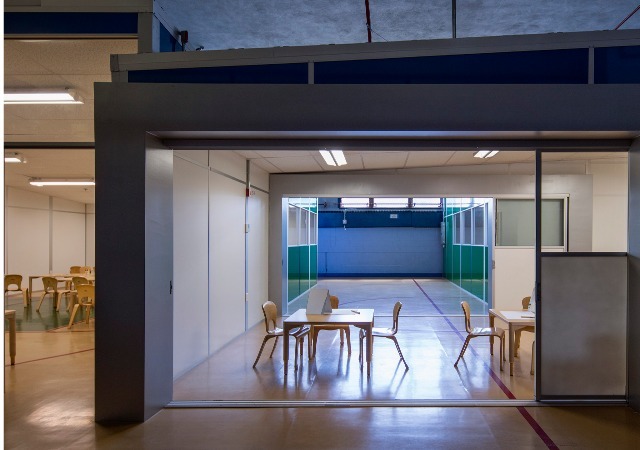 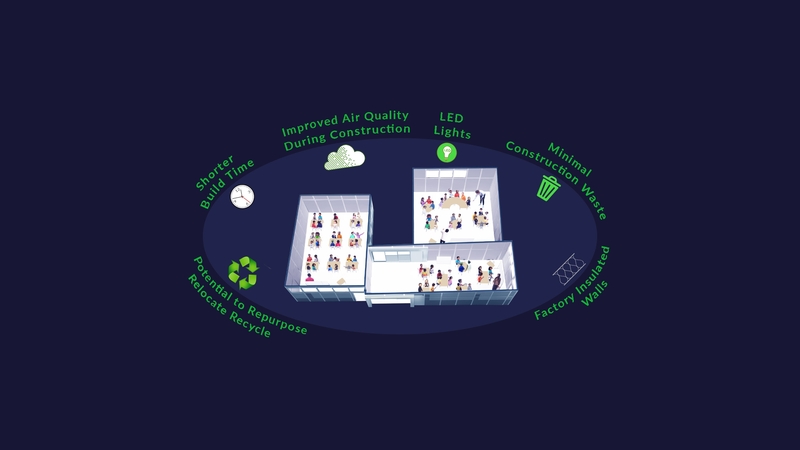 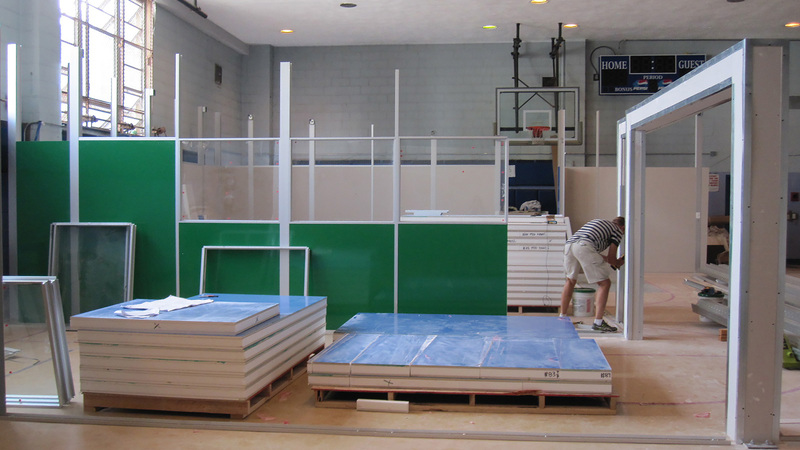 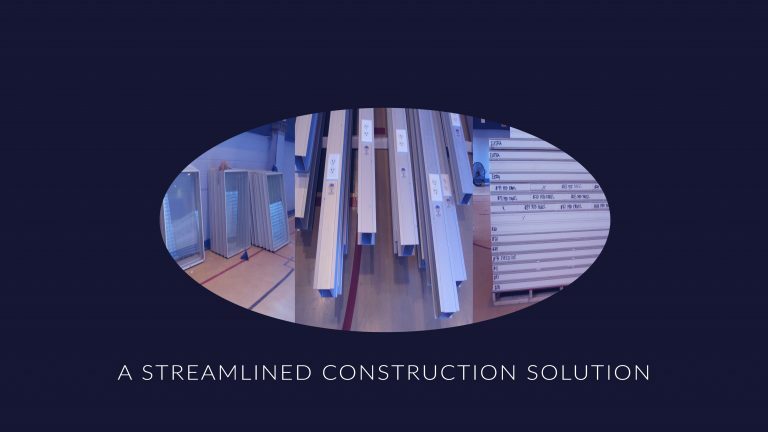 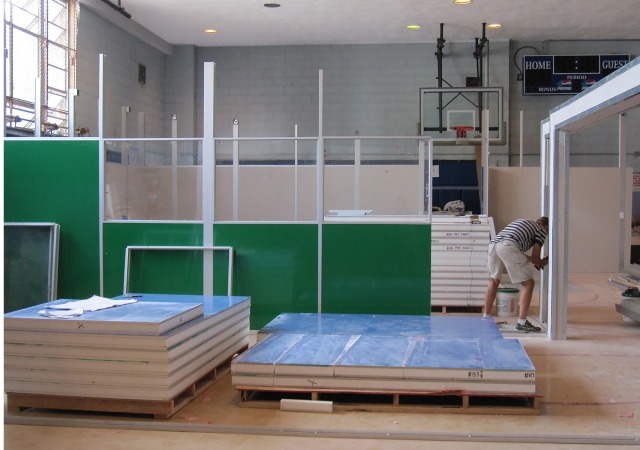 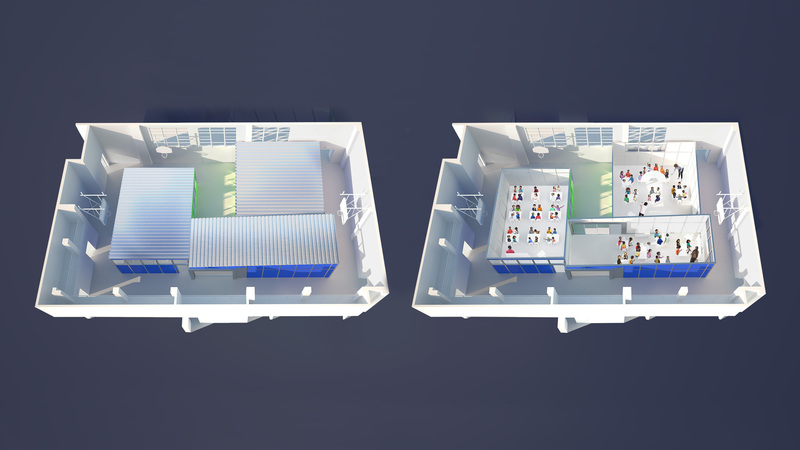 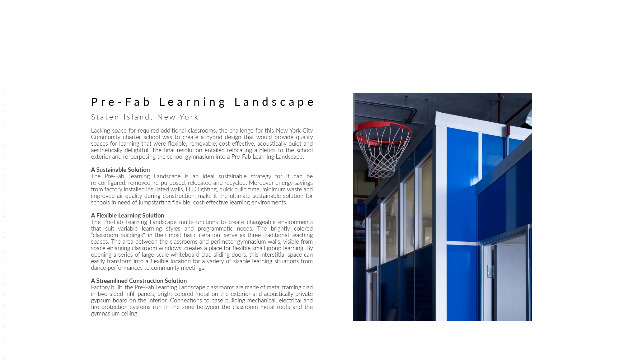 The final resolution entailed relocating athletics to the school exterior and re-purposing the school gymnasium into a Pre-Fab Learning Landscape. 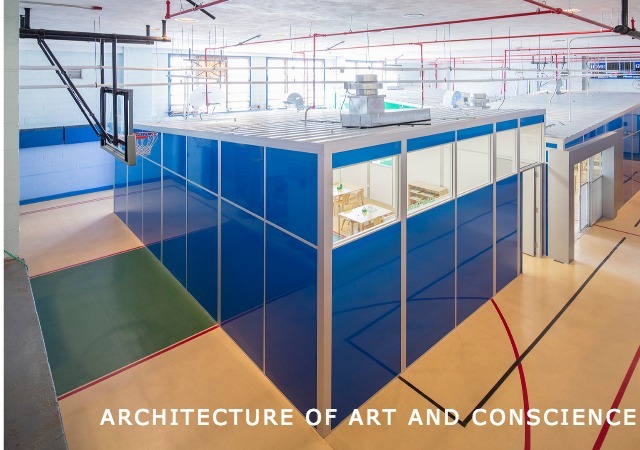 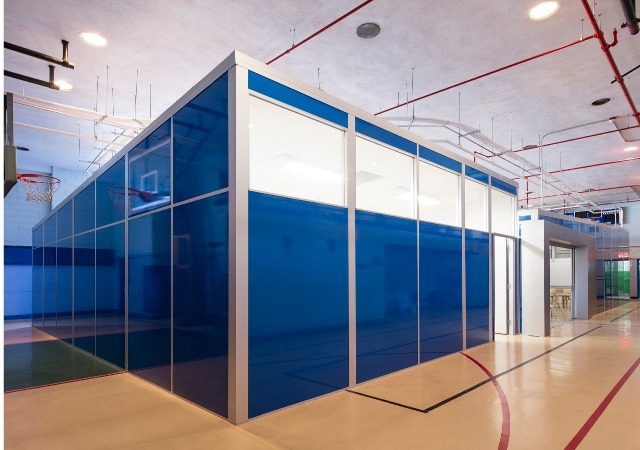 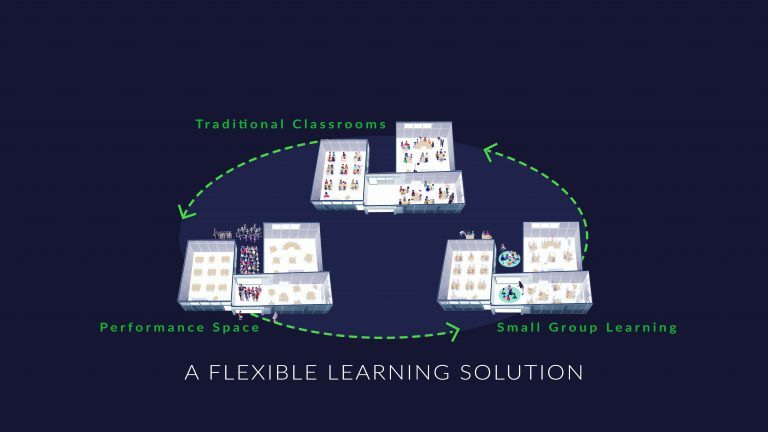 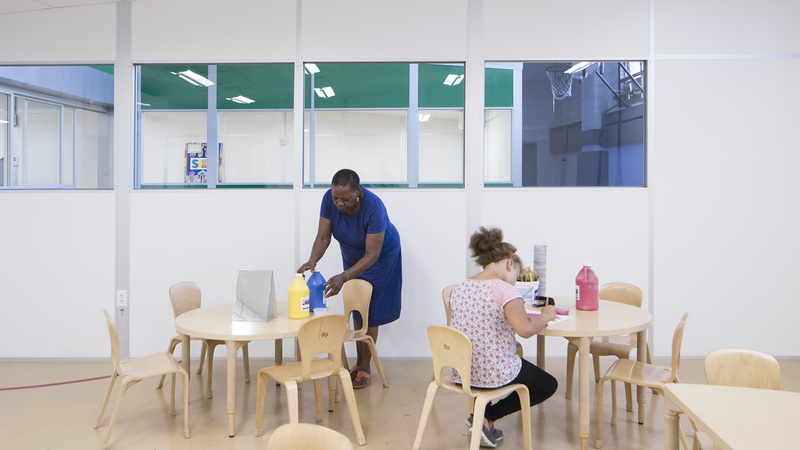 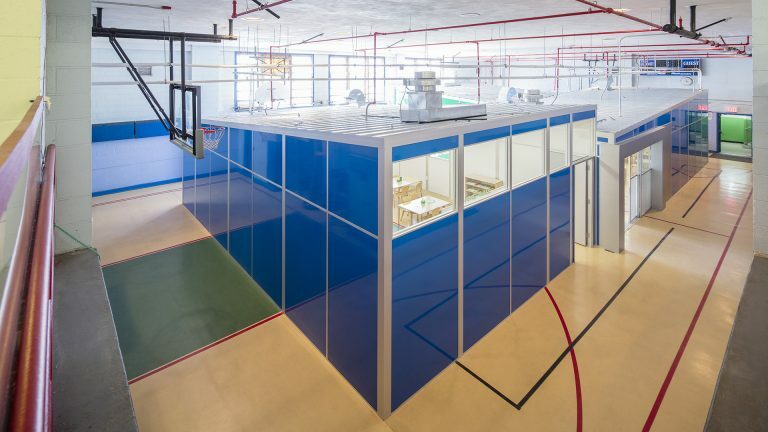 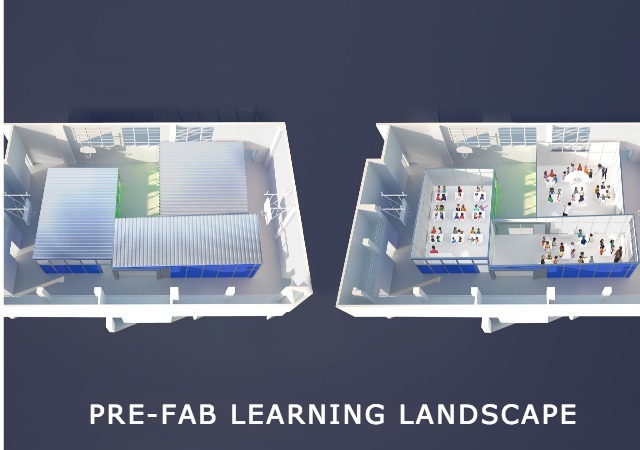 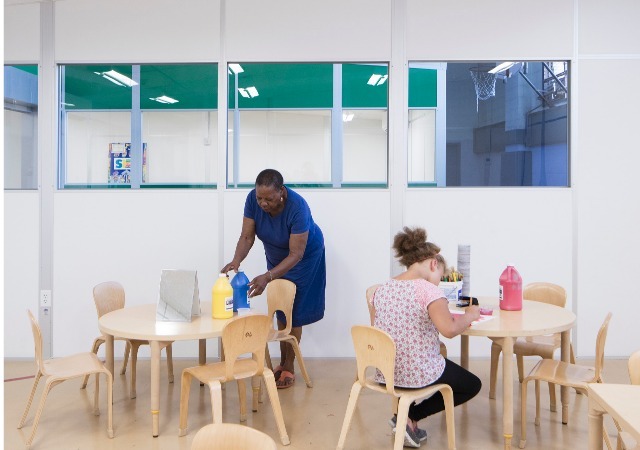 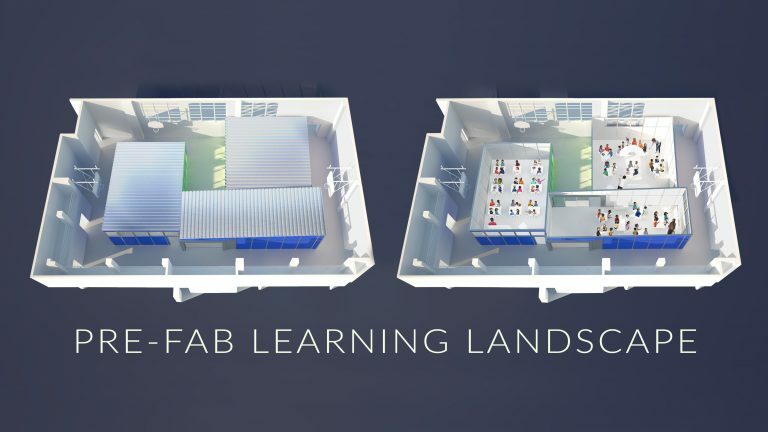 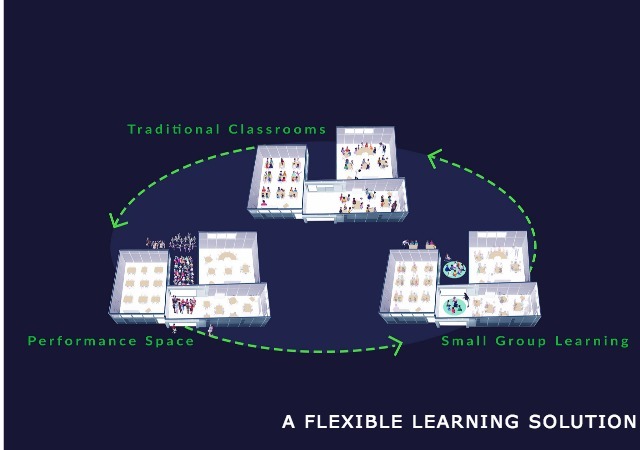 The Pre-Fab Learning Landscape is a sustainable, flexible and easily constructable solution.